This is my kind of preparation for pasta. I prefer linguine to chinese noodles. I like the soft chewy texture of linguine . I have some balance of mini king oyster mushrooms , so I stir fry them with garlic and mixed herbs and then add to the cooked linguine with a dash of salt. Pan seared salmon with black pepper . 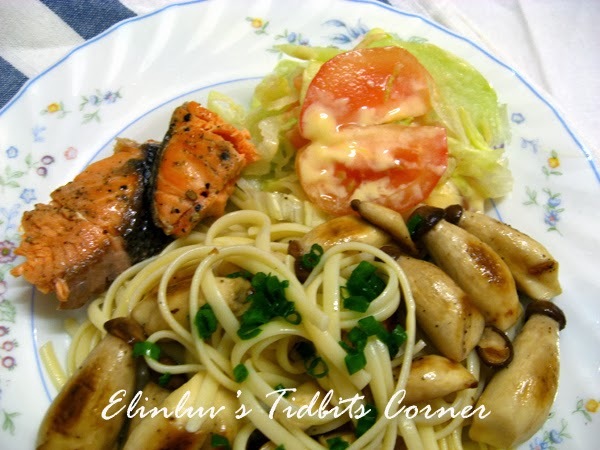 Serve linguine with the pan seared salmon and mini King oyster mushrooms.....this is so yummy. Garnish with spring onions for color and taste . I am begining to like this mushroom. 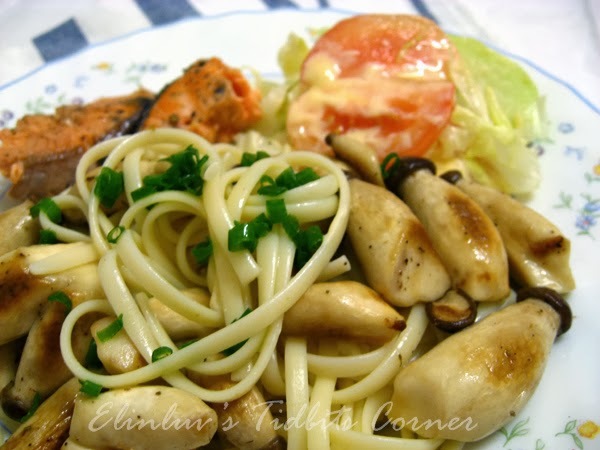 It has a springy and chewy texture even after cooking it, unlike the other type of mushrooms which turned soft after cooking.